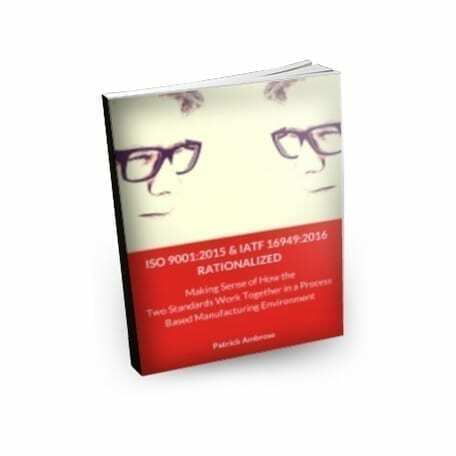 Our ISO 9001:2015 and IATF 16949:2016 Rationalized eBook was developed in response to the publishing of the new IATF 16949:2016 standard. This standard defines the requirements of a quality management system for organizations in the automotive industry. The new IATF 16949:2016 standard, published on October 3rd 2016 was published differently in that it does not contain the actual ISO 9001:2015 text. While it follows the new ‘high level structure’ of new ISO standards it contains only the automotive specific additional requirements. However, your organization is still required to comply with both sets of requirements. Our “rationalized” approach combines the requirements into one single process based structure to make it a powerful tool for you to assess, evaluate and implement necessary actions to make sure you not only comply with the requirements but that your QMS is as effective as it can be. Simply add the eBook to your cart. Make sure you take a look at our Audit Checklists before proceeding to the checkout. Once payment is confirmed you will immediately be able to download your copy of the eBook and the Process Audit Toolkit. If you have any questions about the purchase process please take a look at our FAQ page or contact us directly. We will not sell your email address and we do not spam. Similar to our 2015 Audit Guides, if we revise the IATF 16949 Rationalized eBook in the future we will use the email address you provide to notify you when revisions are available for download free of charge. If you’d like to take a look inside, there is a compilation of excerpts from all of our ebooks included in the free Audit Resources that you can download immediately.